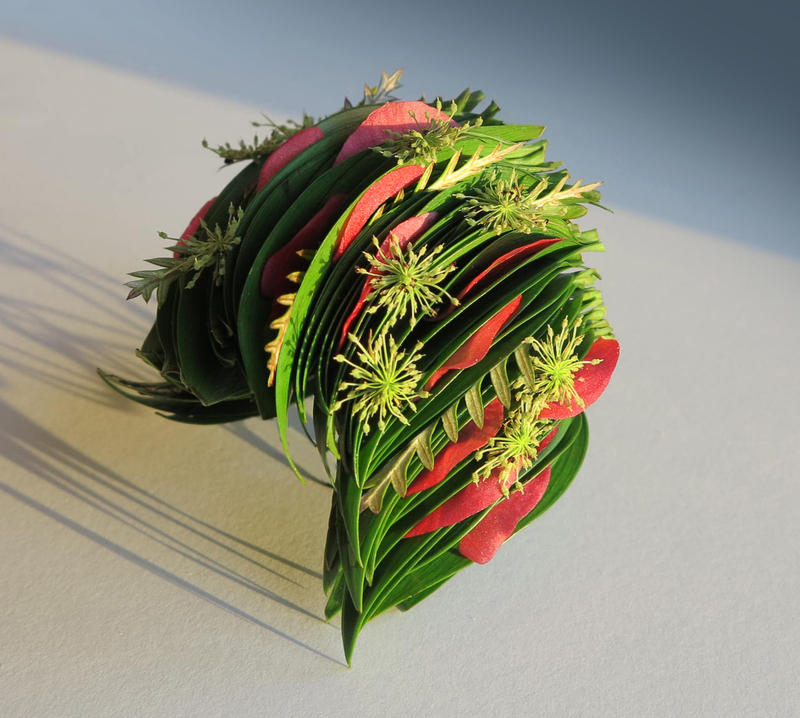 A leaf bracelet is very decorative by itself but you can decorate it with flowers of manmade materials. 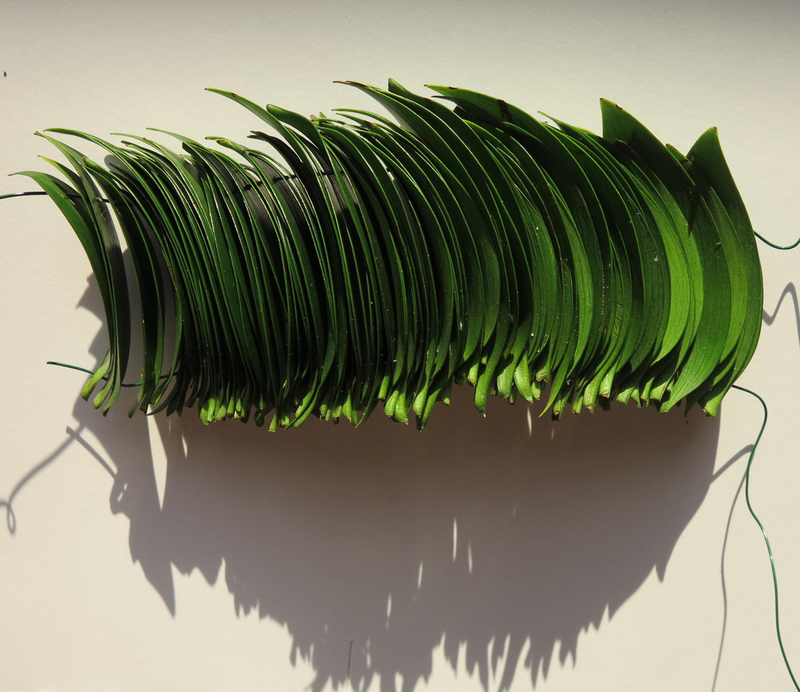 All the materials are glued to the leaves. Before using, hydrate flowers and foliage for two hours. A leaf bracelet can stay fresh for 2-5 days. A bracelet with flowers or petals can keep freshness for several hours only. To select right for you kind of flowers, experiment by living hydrated flowers or petals without water for several hours. 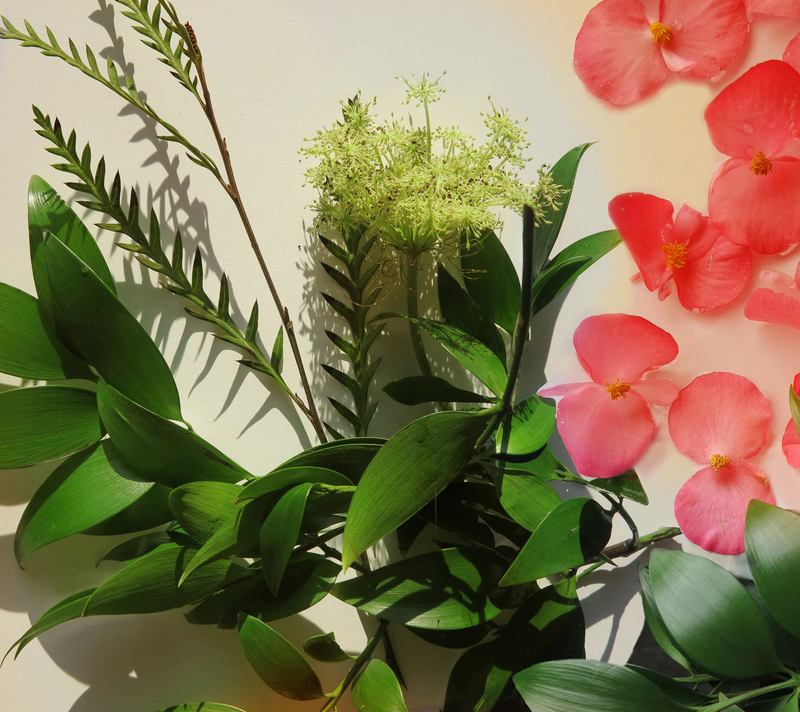 The single begonia blooms and Ammi little flowers without stems hydrate floating in water for two hours. Next PostNext Become a Certified Floral Designer.